– TAB button changes lists of available building elements also from the last tab to the first one. – Chosen building element is highlighted in the panel. – Window shutter no longer available to build. Upgraded walls have it as a standard piece of equipment. – Wooden poles are placed in pairs to speed up construction, allow easy upgrades and provide better optimization. – Fixed the transparency of the red and blue roof “ghost elements” when building. – Foundations and platforms can no longer be placed on berries and flax plants. – Press F6 to activate. – Allows player to upgrade or repair a building element when pointed with a crosshair. – Added an upgrade to the wooden full-wall with a chance to resist siege damage. 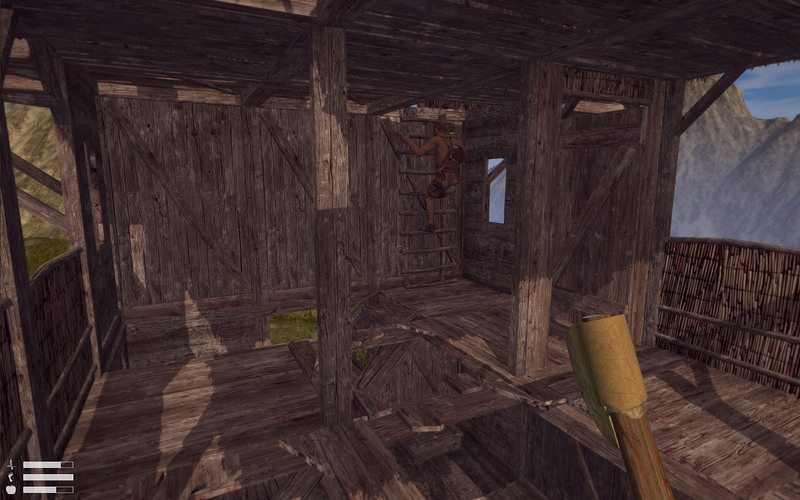 – Added an upgrade to the wooden window-wall with a chance to resist siege damage and an additional shutter. 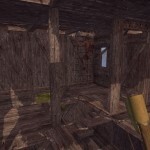 – Added an upgrade to the wooden door jamb to let players upgrade doors. 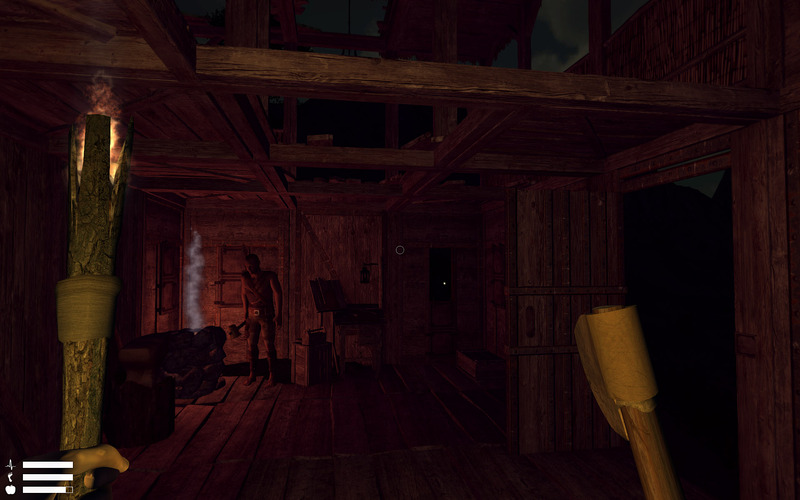 – Added an upgrade to the wooden door with increased resistance to melee and siege damage. – Double poles can be upgraded to any wall of the second level. – Damaged roof and ceiling can be repaired. – Can now damage Builder’s desk. 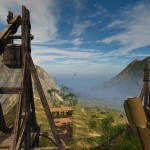 – Can now destroy ceilings and roofs. – Can now destroy construction elements like poles if nothing is placed on them. – Hitting poles attached to a wall is considered hitting the wall. – Fixed Rhino and Tiger being unable to attack at once after running away. 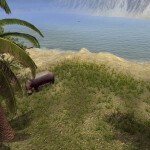 – Improved behaviour of the animals when new obstacles appear on the way of a chase. – Improved escape of the animals when hit while being surrounded. – Aggressor reacts properly when hit by the player from a long distance. – Fixed receiving additional damage after respawn when died by fall damage. – The glow of furnace does not affect FPS anymore. – Reduced costs of repairing Builder’s desk. Desk can be repaired only to level 1. 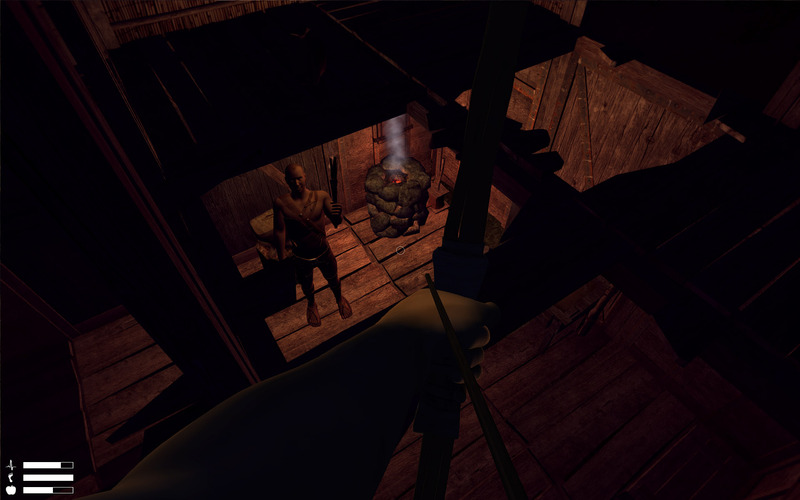 – Fixed issues with a freeze of the weapon animations when coming out of the water or climbing the ladder. – Fixed throwing a torch combined with other actions that could cause torch to stay in a hand and be unable to put off. – Buffed player’s swimming skills. – Changes in the crafting window. – Fixed ragdoll physics when player dies under water. First of all, as you may have read, we’ve reworked the building system and made it more user friendly and easy to extend with future upgrades available to every piece of construction. 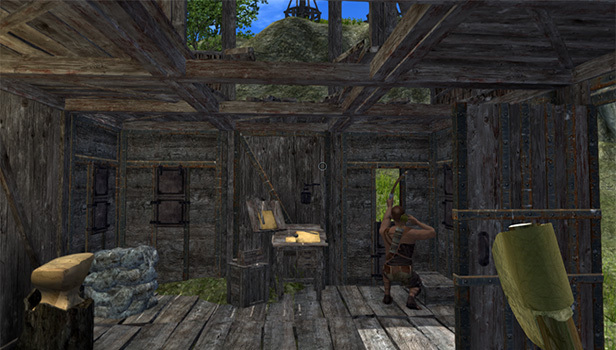 You can now start building with the simplest wooden frames or floors and then, when you gather enough resources, add a window with a shutter, reinforce doors with bronze or steel, secure walls against trebuchets and much more. Updated destruction system is the second biggest chunk of the new patch. 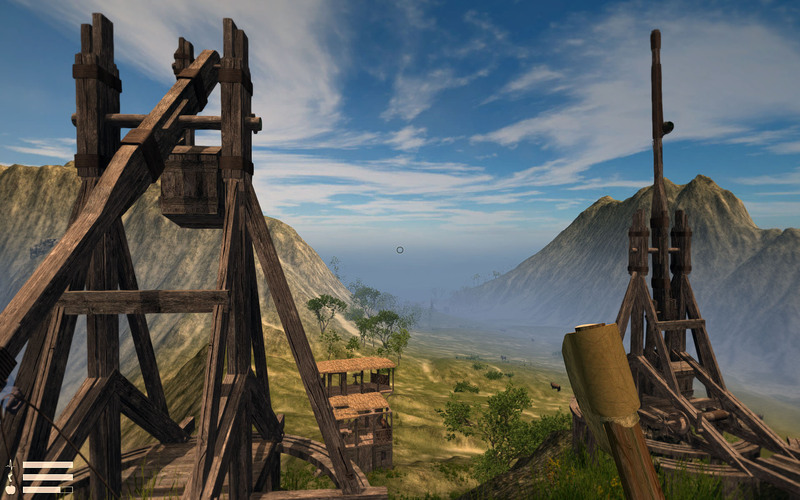 From now on you can use trebuchets to literally change someone’s stronghold into picturesque skeleton or try a force entry not only through walls but roofs and floors as well. Destructible platforms can be also used as the last way of escape when an enemy is already at the stairs. 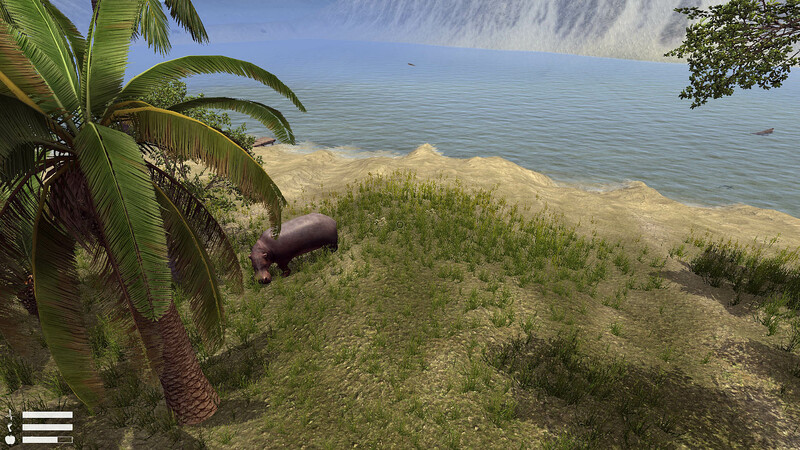 Another ‘visible’ update to Out of Reach are two new animals – already announced hippo and a crocodile. Both got their separate stats and behaviour. New fixes and patches to AI let us make use of swimming animals. It’s not safe anymore to go and have a dive, perhaps the time of water transportation is coming to the world of Out of Reach 😉 But this and other news will come together with the next devblogs. Hope you enjoyed the new screenshots and will visit our page, Facebook profile or Steam site soon!